A: Yes, depending upon the situation. You cannot recover if you are injured as a result of an “inherent risk” of skiing. 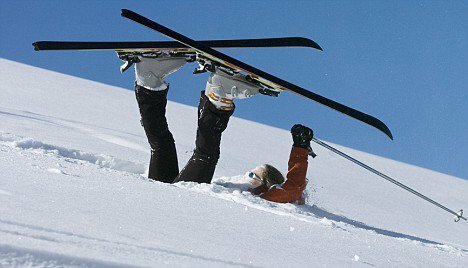 An example of an inherent risk of skiing is that skis will slide on snow and you could lose your balance and fall down and get hurt. On the other hand, a skier slamming into your back is not, by the express terms of the Colorado Ski Safety Act, an inherent risk of skiing – otherwise, skier collisions could arguably be considered an inherent risk of skiing. A: There is a presumption under Colorado law that the uphill skier is at fault in a collision because an uphill skier should usually be able to avoid colliding with a downhill skier. However, the presumption can be overcome by showing that the downhill skier, rather than the uphill skier, was at fault. (2) Ski lift operation: If a person is injured by a defective ski lift, then the injured person can recover, but that is not very common. The more common situation would involve the negligent operation of the lift by, for example, not stopping the lift and skier is dragged a long way. (3) Equipment: Injury as a result of the improper setting of bindings and improper functioning of the bindings. (4) Instruction: Example – It would be improper for a ski instructor to take brand new skiers down a black diamond run. (5) General negligence: Injury from risks that are not inherent or integral to skiing. Example: The wood planks on a deck are rotten and break and a person is injured. Each skier solely has the responsibility for knowing the range of his own ability to negotiate any ski slope or trail and to ski within the limits of such ability. Each skier expressly accepts and assumes of and all legal responsibility for any injury to a person or property resulting from any of the inherent dangers and risks of skiing; except that a skier is not precluded under this article from suing another skier for any injury to person or property resulting from such other skier’s acts or omissions. Notwithstanding any provision of law or statute to the contrary, the risk of a skier/skier collision is neither an inherent risk nor a risk assumed by a skier in an action by one skier against another. Each skier has the duty to maintain control of his speed and course at all times when skiing and to maintain a proper lookout so as to be able to avoid other skiers and objects. However, the primary duty shall be on the person skiing downhill to avoid collision with any person or objects below him. No skier shall ski on a ski slope or trail that has been posted as “Closed” pursuant to section 33-44-107 (2) € and (4). Each skier shall stay clear of snow-grooming equipment, all vehicles, lift towers, signs, and any other equipment on the ski slopes and trails. Each skier has the duty to heed all posted information and other warnings and to refrain from acting in a manner which may cause or contribute to the injury of the skier or others. Each skier shall be presumed to have seen and understood all information posted in accordance with this article near base area lifts, on the passenger tramways, and on such ski slopes or trails as he is skiing. Under conditions of decreased visibility, the duty is on the skier to locate and ascertain the meaning of all signs posted in accordance with sections 33-44-106 and 33-44-107. Each ski or snowboard used by a skier while skiing shall be equipped with a strap or other device capable of stopping the ski or snowboard should the ski or snowboard become unattached from the skier. This requirement shall not apply to cross country skis. No skier shall cross the uphill track of a J-bar, T-bar, platter pull, or rope tow except at locations designated by the operator; nor shall a skier place any object in such an uphill track. No person shall move uphill on any passenger tramway or use any ski slope or trail while such person’s ability to do so is impaired by the consumption of alcohol or by the use of any controlled substance, as defined in section 12-22-303 (7), C.R.S., or other drug or while such person is under the influence of alcohol or any controlled substance, as defined in section 12-22-303 (7), C.R.S., or another drug. No skier involved in a collision with another skier or person in which an injury results shall leave the vicinity of the collision before giving his or her name and current address to an employee of the ski area operator or a member of the ski patrol, except for the purpose of securing aid for a person injured in the collision; in which event the person so leaving the scene of the collision shall give his or her name and current address as required by this subsection (10) after securing such aid. No person shall knowingly enter upon public or private lands from an adjoining ski area when such land has been closed by its owner and so posted by the owner or by the ski area operator pursuant to section 33-44-107 (6). Any person who violates any of the provisions of subsection (3), (9), (10) or (11) of this section is guilty of class 2 petty offense and, upon conviction thereof, shall be punished by a fine of not more than one thousand dollars.